Preparing for university life can be an exciting but hectic time. 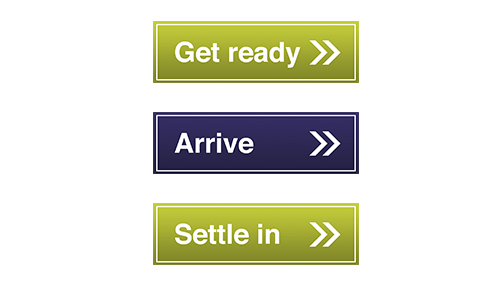 Get Ready, Arrive and Settle In is a step by step guide on how to fully prepare for student life. The first step of the Get Ready process is to confirm your offer. When you have met all of your offer conditions, we will notify you, alongside UCAS. You can check that your status is up-to-date via UCAS Track. Before joining you will receive lots of advice and information about becoming a student. Enrolment is especially important as it is the formal process through which you join the university. You will receive an email from the university inviting you to enrol online before you arrive. It is essential that you enrol before the deadline. A big part of getting ready is making sure you have selected somewhere to live and to also arrange those all-important finances! Before you arrive, it is important that you familiarise yourself with the campus location and the surrounding area, especially if London is unfamiliar to you. Coventry University London Campus is a short walk away from Liverpool Street station and can be easily accessed by the London Underground, National Rail, or Bus. Once you have enrolled, you are able to attend Fresher’s Week which begins on Monday 3rd October 2016. It is a great opportunity to meet your classmates and settle into London life. Student life isn’t just about your degree; it’s about trying new things, developing new skills and making new friends. We’ve got lots going on around campus, including volunteering opportunities, joining a student society, or becoming a member of Student Central. We recognise that for many of you, living away from home is a new experience. Our friendly staff will be available to answer your questions before and when you arrive on campus and throughout your studies.